Hey, Magooshers. I was just thinking about most influential book I read in high school: Gabriel Garcia Marquez’s One Hundred Years of Solitude. It was my first introduction to Magical Realism. Also, the sweeping plot had me hooked after reading a few pages. Marquez is only the most well-known of a slew of Central and South American writers who have put the continent on the literary map. In AP Spanish Literature and Culture, you have the chance to explore these writers’ works in their native tongue. Also, the course is great for students planning to major in Spanish in college. Today I’ll take you step by step through the AP Exam so that there are no surprises on exam day. Note: This article accounts for all revisions made to the AP Spanish Literature and Culture Exam in Fall 2014. If researching test materials online, please only refer to those that appeared on the Spring 2015 exam or later. You do not have to be 100% fluent to make a 5 on the AP Spanish Literature and Culture Exam. According to the College Board, the company that makes the exam, a student should have completed three or more years of Spanish before taking AP Spanish Literature and Culture. Unless you’re a native speaker, I’d recommend this course only for high school seniors who began learning Spanish their freshman year (or sooner). In the end, though, it’s your call. Finally, the College Board strongly recommends that you take a Spanish language course the same year you take AP Spanish Literature and Culture. If I had to guess what your teacher is planning, you can expect that each of these learning objectives will make up an individual unit. Of course, since the course is focused on literature, expect many literary pieces to hit on multiple themes. The course also has five guiding questions. I have reproduced them below, in Spanish. ¿Cómo revelan las obras literarias las perspectivas y costumbres de una cultura en un período determinado? ¿De qué manera afecta el contexto literario, histórico, sociocultural y geopolítico la creación de las obras literarias de determinada época? ¿Qué preguntas y dilemas presentes en obras literarias de diferentes autores y en diferentes épocas y culturas, son relevantes aún en la actualidad? ¿Qué contribuye el estudio de la literatura escrita en español al estudio del idioma? ¿Qué preguntas plantea la literatura acerca de la literatura misma y las demás artes? Finally, the course has a Required Reading List. It begins on page 21 of the course guide. In a nutshell, the selections are comprised of fiction, nonfiction, and poetry. The AP Spanish Literature and Culture Exam is three hours long, the same length as the majority of AP exams. As you’ll soon see, every minute presents a different challenge. Section I is further broken down into two sections: Part A and Part B. In Part A, you must listen to listen to an author interview, a recited poem (not from the reading list), and a literary presentation. Only the poem is read twice before you begin answering questions. When you move on to part B, try to keep yourself to one minute per question. 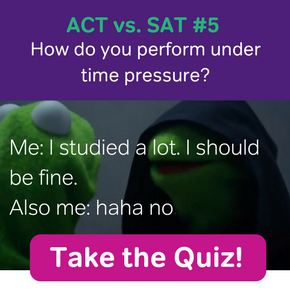 If you can do this (make sure to improve time management skills through practice tests), you’ll have a comfortable cushion to check your answers, or finish the test if some questions take longer than you expect. No matter what, all questions should have answers when time is up. Why? There is no penalty for guessing. It is HIGHLY RECOMMENDED that you spend 15 minutes a piece working on the short answer questions, and spend 35 minutes a piece working on the essay questions. This advice comes direct from the College Board, so when you’re practicing Section II, these are the time limits to shoot for. 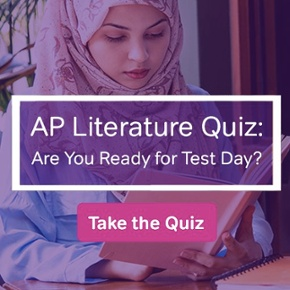 Though only two years have passed since AP Spanish Literature and Culture underwent a major revision, there are still plenty of valid online resources to help you prepare for test day. You will likely see old (but still relevant) exam questions on your tests throughout the year. 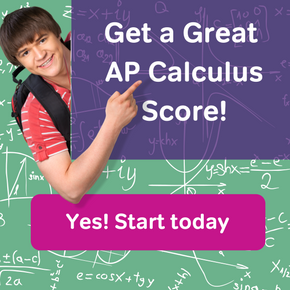 I wouldn’t be surprised if every one of your unit tests was a shorter version of the AP Exam. Also, since the exam guide has a Required Reading List, you have the advantage of knowing which texts may appear on the exam. My Recommendation: print out the list along with the texts. In the months leading up to exam day, read/review a little bit each night in addition to your standard study routine. Section II is a little bit of everything, so here is the breakdown of what each task will ask you to do. These are only summaries of the requirements, but they should give you a good preview of what to expect on exam day. Note: For both short answer questions, the texts will come directly from the Required Reading List. Text Explanation: Identify the author and period in which the text was written. Explain how the theme from the excerpt reflects the theme in the complete text. Text and Art Comparison: Compare the theme of a text with that of a piece of artwork. Besides comparing the theme of the two works, you are also required to compare the genre and period of both pieces. Analysis of a Single Text: The text will come from the Required Reading List. If it is fiction or nonfiction, expect to read a short excerpt on the AP Exam. If this question uses a poem, expect to read the entire poem. In your essay, you are expected to analyze how the text represents the genre and time period. In doing this, you must analyze the role of literary devices present in the text. Text Comparison: As the name suggests, you are required to compare two texts. Big Note: One of the texts does not come from the Required Reading List. In your essay, you must analyze the shared theme(s) and literary devices. And of course, you must present examples from both texts. The College Board will release AP Spanish Literature and Culture scores in early July. Yep, one day in the middle of summer you’ll receive an email saying that your scores are ready on your College Board account. For those of you who earn a 4 or 5, congratulations. Come freshman year, you’ll have earned college credit and you can jump right into a second year (or second semester, depending on the generosity of your future college) Spanish literature course. If you earn a 3 or less, don’t fret. Many colleges offer placement tests for matriculating students, and are sometimes flexible concerning course requests. You still might have another shot to show off your Spanish literature strength! Even if come freshmen year, you find yourself in a first-year Spanish literature course, it is still an amazing opportunity to refresh old material. You’ll have a lot of tools in your Spanish and literature toolboxes, and will have a leg up on your peers. Best of luck in your Spanish literature endeavors, Magooshers.